Iceberg Lettuce is a round head of lettuce with tight green leaves. In Southeast Asia, where Iceberg lettuce is not an indigenous vegetable, it tends to be small, oddly shaped round heads without the tight green leaves. A light pale green color, Iceberg lettuce is sold as a whole head in various sizes depending on growing conditions. Iceberg lettuce is also commonly found as prepackaged salad bags in Western societies. 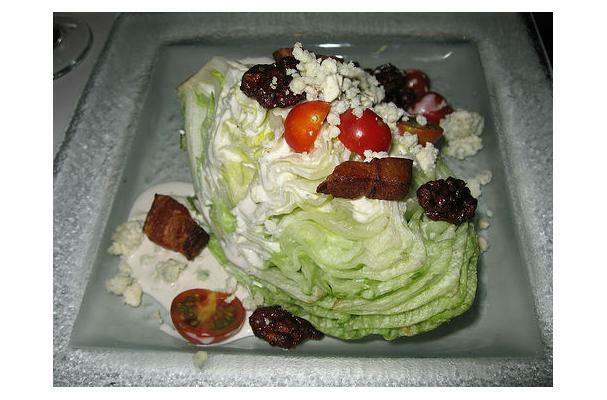 A head of Iceberg lettuce is fairly light in weight and therefore not sold by weight, but rather as a piece. Buying: Iceberg lettuce is widely available in most supermarkets and farmers market. Procuring: If you want to grow your own lettuce. It is best if you plant the seeds during late spring. Remember to keep the soil moist and allow for some space between the lettuce heads. Iceberg lettuce tastes its crisp best when washed, dried properly and kept at a cool temperature. This requires a lot of handling from the washing of each of the leaves to a brisk salad spinning or drying and then, storing of the larger leaves for use later in a variety of dishes. Leaves should not be torn for salad until right before serving to retain their crisp, firm crunch. Iceberg Lettuce can keep for 4-5 days inside the vegetable crisper in the fridge.make sure it is covered in plastic so it wont dry out easily.